The name Háifoss translates to "High Waterfall", which is fitting as this is Iceland's third highest waterfall with a drop of 122m. 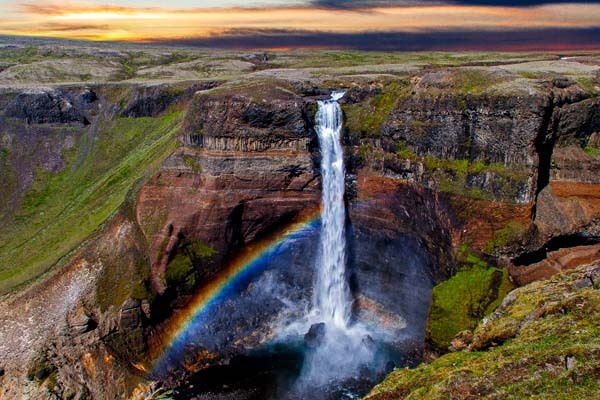 It is located in the Fossárdalur Valley, along with its neighbouring waterfall Granni (the name means neighbour! ), they have been carving a gorge through the rock for what seems like forever. It is fed by the Fossá River, and it is a popular to hike along the river to get to the waterfall. You can get here by car, it's a 135 km drive... or you can get here much faster by helicopter!